Oh boy oh boy oh boy! This baby is finally mine. 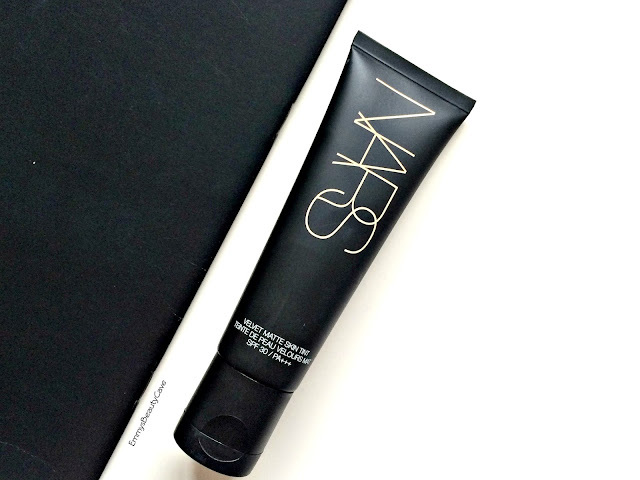 The NARS Velvet Matte Skin Tint was on my list as soon as it was released. 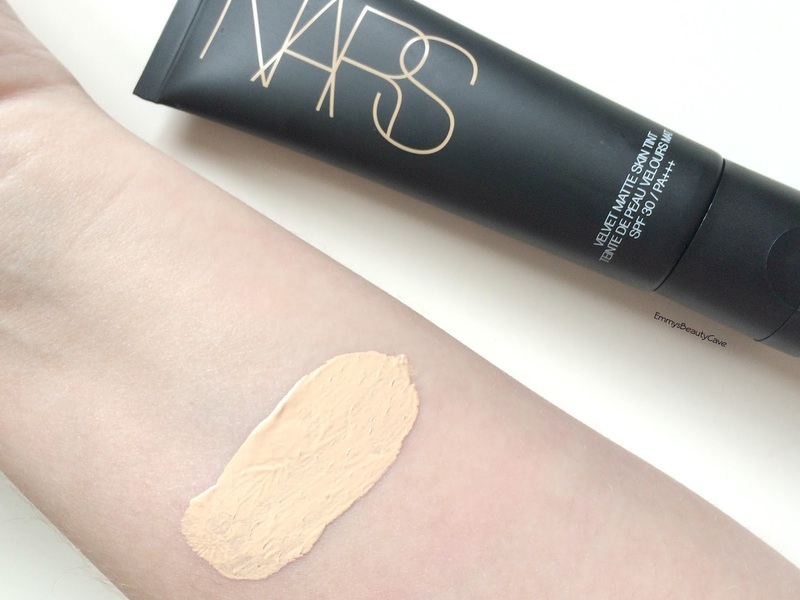 NARS Sheer Glow Foundation is one of my holy grail foundations so I thought why not try the new release. I have extremely oily skin especially in the hot Summer weather so I needed something matte. I usually go for full coverage bases but lately now my skin is clear I am loving a lighter base but with medium coverage. Yes this is pricey at £30 but you get a whopping 50ml which is 20ml more than most foundations, it is even 20ml more than NARS other base products. The packaging is sleek as always with NARS with the plain black packaging and large NARS logo. I love it, I think the packaging it perfect as it is a great travel item. I went with the shade Terre-Neuve which is lightest shade and has neutral pink undertones. The shade match is perfect for me, it looks natural. So what is special about the Matte Skin Tint? It has SPF30 which makes it amazing for Summer and hot weather, I think I do always forget about SPF on my face so products like this will help. As you can see in the swatch it is thicker than most BB/CC Creams but when you apply this it isn't thick. I apply it all over my face and I have found it best to apply with a flat top kabuki brush, I use the Makeup Addiction Flat Buffer which helps get the most coverage out of the product. When I apply this it gives medium coverage as you can see still my freckles. If I want a little extra coverage I apply the MAC Studio Fix Powder Plus Foundation on top. This is definitely matte but it isn't a drying kind of matte. As I have oily skin I find I have to apply powder no matter what foundation or bb cream I use. Once dry and it is matte it doesn't feel heavy, it literally feels like you have nothing on. The lasting power is good, I have tried this with the Kiss Light Reflecting Mattifying Primer and the L'Oreal Infallible Matte Primer and both work amazingly well with the NARS Skin Tint. I usually have to touch up with powder once during the day but I found I got a good 5 hours out of this before needing to touch up. At the end of the day my face still looked flawless. I would 100% recommend buying this if you have oily skin or like a matte finish. As I said you get 50ml so the £30 price tag is a really good price. I can't wait to use this more in Summer. If you are unsure on shades look on the NARS website and click on each shade and it will tell you what the undertone is.